Psychedelic mushrooms already have a reputation for helping people open their minds and broaden their perspective on the world. They have shown an ability to combat mental disorders like depression and anxiety. Now, research is showing that the magic mushrooms can actually help physically rebuild a damaged brain. In a study conducted by the University of South Florida and published in 2013 in theExperimental Brain Research journal, researchers measured the effects of mushrooms on mice that had been conditioned to fear certain stimuli. 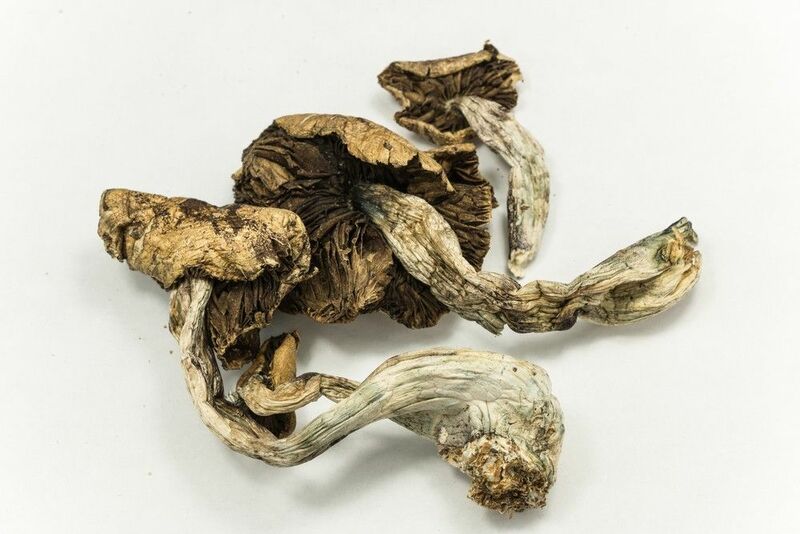 The results were striking: Not only could psilocybin, the main active ingredient in psychedelic mushrooms, help them get over their fear, it promoted cell growth and regeneration in their brains. During the experiment, mice were exposed to an auditory tone while receiving an electric shock, training them to fear the noise even when the shock was not administered. Mice that received low doses of psilocybin, however, were quickly able to shed their aversion to the tone, while mice that did not take the substance took longer to return to normal. “They stopped freezing; they lost their fear,” study co-author Dr. Juan Sanchez-Ramos said to Live Science. What’s more, the psychedelic mice showed growth in new brain cells, perhaps erasing memories of the fear response. Researchers think that the psilocybin is binding to brain receptors that stimulate growth and healing, acting on the hippocampus, a small part of the brain that is essential to learning and forming memories. Since PTSD is thought to result from a similar response in which patients cannot separate a stimulus from a traumatic event, psilocybin could perhaps help them heal their brains just like it did for the mice. Psychedelics work, in part, by overriding the “default mode network” in the brain, which is thought to be responsible for wandering minds, self-criticism and an inability to focus on the outside world. Instead, the substances help people focus on living in the moment, similar to many Eastern meditation practices. That can also help with PTSD as well as other mental disorders like depression. The therapeutic value seems clear. “[Psilocybin] facilitates extinction of the classically conditioned fear response, and this, and similar agents, should be explored as potential treatments for post-traumatic stress disorder and related conditions,” the study concludes. However, despite its demonstrated success and unlimited potential, psilocybin is currently banned by the U.S. government, considered a drug of abuse with no medical value.